Elton John and his band live at Cornwall’s Eden Project July 2015, his first performance in the county for 30 years and the highlight of the 14th year of the Eden Sessions. 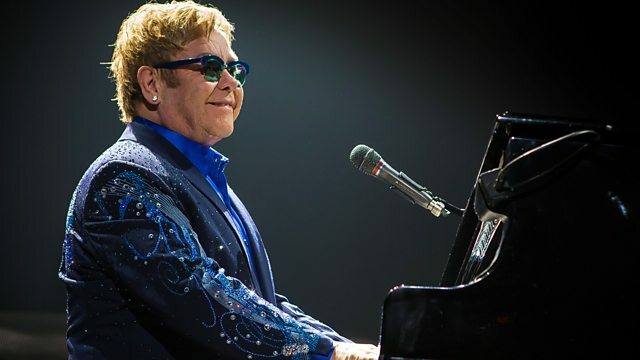 Elton John and his band perform live at Cornwall’s Eden Project on 16th June 2015. This was the first time Elton John had performed in Cornwall for thirty years. He last performed in the county at the Cornwall Coliseum which was recently demolished. Elton’s performance was a highlight of the fourteenth year of the Eden Sessions. He performed many of his iconic hits and album tracks including Candle in the Wind, I’m Still Standing, Goodbye Yellow Brick Road and Crocodile Rock.